The Crescent Business Park, 8th Floor, Near International Airport, Andheri Kurla Road, Andheri (E), Mumbai – 400072, Maharastra, India. 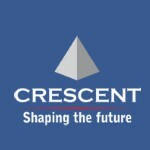 Crescent Group currently manages a portfolio spanning across Residential, Commercial and Retail properties in Mumbai, the commercial capital of India. Going forward, the company is continuously expanding its geographic base through acquisitions by leveraging on its established credentials. With an entrepreneurial spirit, talent and a deep sense of commitment to community “Crescent Group of Companies” began a home building company located in Mumbai in 2000. Crescent Group of Companies is a premier builder of distinctive homes in some of the finest locations in Mumbai. Our reputation is built on. Crescent Group of Companies is a premier builder of distinctive homes in some of the finest locations in Mumbai. Our reputation is built on providing our customers with quality craftsmanship, innovative design and second-to-none after sales service. It is a reputation built brick by brick, home by home, in our single family and condominium home development. With having an edge over the residential projects now it has also diversified in building Commercial Complex.Quality, style, innovation and responsiveness to the needs of home buyers is the foundation upon which Crescent Group of Companies have built our stellar reputation. We call it “The Art of Home Building”. You’ll call it “Home”. Crescent Group of Companies of Companies have been actively involved in the areas of property developments and construction for over 2 decades. Recognising that families living in Mumbai do enjoy the city’s unique charm. Our client base of satisfied families continue to grow every day.